Obesity isn't just an issue of personal health. The cost to the NHS and to the wider economy - because of increasing time off work is estimated at about £7 billion per year, of which £1 billion is direct health service costs. * Diabetes - the risk of developing type 2 diabetes is about 20 times greater for people who are very obese compared with healthy weight individuals.cancer - 10 per cent of all cancer deaths among non-smokers are related to obesity. * Hypertension - 85 per cent of hypertension is associated with a BMI greater than 25.liver disease - up to 90 per cent of people who are obese have fatty liver which may lead to cirrhosis. Children: healthy growth and healthy weight. 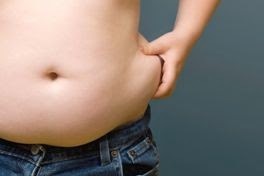 Early prevention to decrease the number of obese children becoming obese adults, eg. increased support for mothers to breastfeed and to promote good weaning practices. Obesity is not something that happens overnight. It's the result of a long-term imbalance between the amount of energy eaten and the amount of energy used by the body. It takes about 3,500 calories to add about 1lb weight. If you notice that you’re consistently increasing in weight, make an attempt to stabilise this before it develops into a more serious problem. Reduce the amount of calories you consume by choosing lower fat options and smaller portions, and increase the amount of calories you use by performing 20 to 30 minutes of moderate activity every day.